I enjoy watching the player count when I open the game, but with the new port ui, its not listed at the top of the screen, is there any way to see it? Can we get T11 please? 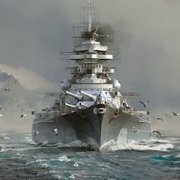 it would because only the most intelligent BB players take survivability expert on them, you see many BBs in matches with just the default HP, such as the 97k health yamato or 96.3k health montana, as opposed to each of those ships having around 100k. 1. I don't think this is true, as the AI stops firing when you manually select the AA 2. I see your point here, this would be a harder fix, and I'm not sure what you would do about that. Maybe give an accuracy debuff for the AI controlled AA? Baltimore — American Tier VIII cruiser. I'm just curious to see what people say here, since nobody ever uses the wide spread torps. There should be an option to select premium consumables without using up your free ones, as I would like to use them more often than I do, but don't want to use the free ones I have on non-t10s each one costs 22.5k, so im saving my free ones from containers and the like from t10s, as they are expensive, and therefore, I cant use premium consumables on my lower tier ships, as it wont let me just buy a new one.